How High Up Did the London Whale Criminality Go at JPMorgan? ← IBM Has to Pay a Foreign Government $1.5 Billion to Unload a Business? Yesterday the Inspector General of the Federal Reserve System released a highly abbreviated report on the New York Fed’s supervision of JPMorgan’s Chief Investment Office (CIO) that spawned the $6.2 billion in exotic derivative losses in 2012 – using hundreds of billions of dollars in FDIC insured deposits to make those wild bets. The debacle became known as the London Whale since the outsized trades were conducted in London. What is the relevance of that nugget? We learn for the first time that no Chief Investment Office existed at JPMorgan until after the Bank One merger which brought Jamie Dimon on board JPMorgan for the first time. Dimon was CEO of Bank One at the time of the merger in 2004. The deal included the terms that Dimon would immediately become President and Chief Operating Officer of the combined firms and step into the role as CEO in 2006. Next we are told by the Inspector General that New York Fed staff recommended no less than three examinations of the Chief Investment Office – in 2008, 2009 and 2010. But the examinations just never came to fruition. Pure poppycock. We can think of a far more realistic explanation for why no meddling into high risk trading at JPMorgan using depositors’ savings was ever conducted in 2008 through 2010: Jamie Dimon sat on the Board of Directors of the New York Fed – his bank’s regulator – from 2007 through 2012. And while all of this was happening, William Dudley was serving as the President and CEO of the New York Fed while his wife, Ann Darby, a former Vice President at JPMorgan, was receiving approximately $190,000 per year in deferred compensation from JPMorgan – an amount she is slated to receive until 2021 according to financial disclosure forms. 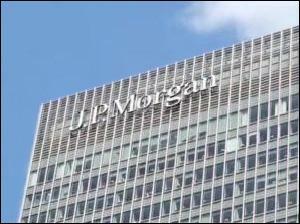 Other than bringing criminal charges against two traders for lying about losses on the London Whale trades – traders whom the Justice Department cannot seem to extradite to this country for trial – none of the higher ups at JPMorgan involved in approving these trades or using insured deposits to make them have been charged. Now, coming on the heels of the recent exposure of the Carmen Segarra tapes showing how the New York Fed tiptoes around its Wall Street charges, the Inspector General’s revelation that three recommended examinations of JPMorgan’s high risk Chief Investment Office were never conducted, simply adds to the public disgust and assessment that Wall Street operates outside the law with a wink and a nod from its regulators.